We've finally received more info on these than we've had since their original announcement and beta program back in 2014! 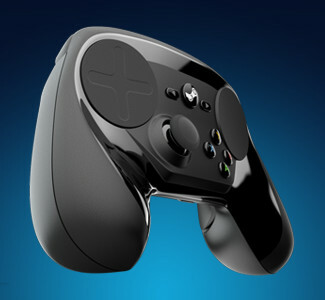 Steam Machines are the answer to the current game console market, originally challenged by the Ouya. Currently the vast majority of the console market exists between Sony (Playstation 4), Microsoft (Xbox One), and Nintendo (Wii/ Wii U). Consoles running on Steam OS will have the benefit of living room console gameplay like what we've already come to know and love, but with most of the HUGE library of games available on Steam already. 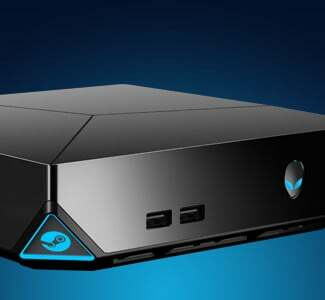 Once again, this is something Valve has been teasing since last year with Steam Boxes, but this is the first time we've seen what the final product will look like! There are actually mixed reviews and mixed feelings about this controller because it is such a drastic step away from traditional game controller designs (4 buttons, 2 thumbsticks, and a D-Pad). Honestly though, this is exciting because similar to the Wiimote it will encourage more innovation in how we interact physically with video games. Already own a sweet power-hungry gaming rig? Sweet! Valve's got you covered on still enjoying that console experience without paying out all the money for a console that does the same thing as the hardware you already own! 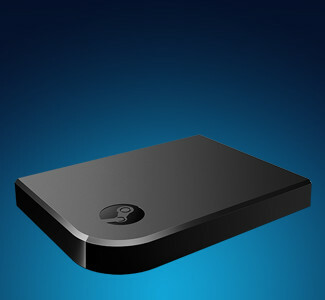 The Steam Link hooks up to a TV to let users broadcast their PC content immediately over a home network, so they can play all the same games from across the house (probably with one of those lovely controllers) for only $50 instead of the starting price of about $400 for a new Steam Machine. Finally! 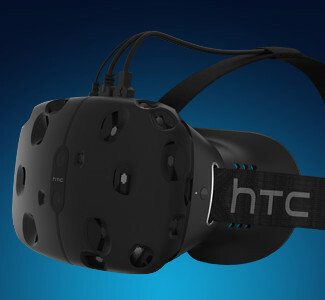 A decent PC competitor for the Oculus Rift! I've tried out the Oculus Rift Devkit 1 on several games, including Team Fortress 2 which Valve worked on specifically for optimal VR experience, and it was absolutely phenomenal. Trust me, VR is the way of the future. Maybe it's not perfect for all games, but for first person games in particular it just makes you really feel like part of the world. You truly see how vast these game universes really are. So along with all of the hardware they announced, they also poked fun at some software. The BIGGEST one being the Source 2 engine which will finally replace the original Source engine which hasn't seen too many dramatic changes since it's release over 10 years ago in 2004! Source 2 will be utilizing the Vulkan API which means any games made using the FREE ENGINE will be able to run on Windows, Linux, and Mac no problem! If you've been keeping up with Unity 5 and Unreal 4, game engines are getting prettier and prettier graphics rendering capabilities as well. 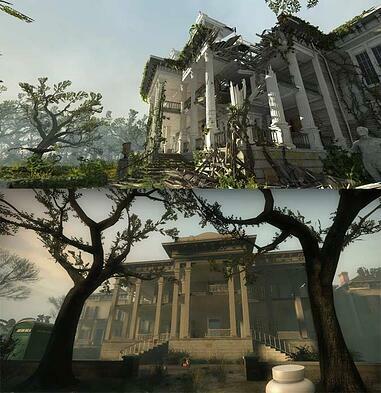 Just check out the comparison shots of the Left 4 Dead 2 Plantation level from an early alpha version of the engine. Aside from running Dota 2 on Source 2 at GDC this year, they actually released Alpha Tools for Dota 2 that look eerily similar to the current Source Engine tools, but more streamlined and with an updated look. But that's not even the best news so far! Okay... assuming you watched it you're probably either going "Wow! That's so cool!" or "haha this nerd... why am I still reading this." If you didn't watch it, it goes over a lot of the potential leaks and somewhat more subtle moves Valve made prior to GDC 2015. Keep in mind, Valve's last game release was Counter-Strike: Global Offensive back in 2013. Their last Half-Life related release was back in 2007. There have been plenty of games between those two, but for the past few years we haven't heard of any new announced games or even a new IP. Current games continue receiving updates, and in 2014 Valve finished making most of their games Linux compatible, but that's it. Interviews with Gabe Newell reveal that the company has been working on games, and the video above would confirm those rumors. The problem is... where are they? Well the answer is every other announcement leading up to now! Steam Machines, Steam Controller, Steam VR, Source 2... why release a game now when you can release it on even better hardware and an even better engine? So yeah. I'm excited for November 2015. This year. When ALL of the official announcements are planned to be released for consumers. That's right! Everything they announced at GDC is being released THIS YEAR. That said, what I'm even more excited for is a new game from Valve. As a fan of Team Fortress 2, Dota 2, Portal 2, Counter-Strike: Global Offensive, Left 4 Dead 2, and Half-Life 2; I think it only makes sense to prepare for what Valve has in store for us next. As a Game Artist I'm excited to see what options they open up for the community in the way of UGC (User Generated Content) which they have supported for a LONG time.